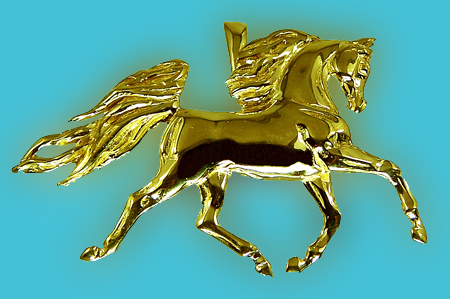 Beautiful Arabian pendant great for the Arabian horse lover. I think that this Arabian piece has much to offer to the Arabian horse admirer. Capturing the elegance and beauty of the Arabian is what we do best at The Gorgeous Horse. This piece is also available in 14kt white gold, and sterling silver. Dimension for this piece are 2 inches 1 1/4 inch.